This office is a participating health care coordinating agency to access services for The Wisconsin Well Woman Program (WWWP), which provides preventive health screening services to women with little or no health insurance coverage. The program is administered by the Wisconsin Department of Health Services, Division of Public Health. Available in 72 counties and 11 tribes. - Certain other health screenings. Covered services are available at no cost to Well Woman clients. There is no premium, co-payment, or deductible for the Well Woman Program. Not all covered services are available from every provider. - Income is within the program's guideline limits. - Do not have health insurance, or the insurance you have doesn’t cover routine check-ups and screening, or you are unable to pay the deductible or co-payment. Enroll through this county or tribal Well Woman coordinating agency, or in some cases, through a participating health care provider, enrollment form requires proof of age, income, and insurance status. 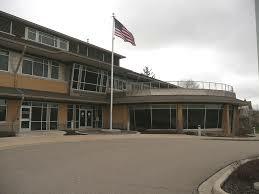 Kenosha County Job Center - Human Services Building, DOH provides mammograms in Wisconsin. To obtain more details on eligibility please contact Kenosha County Job Center - Human Services Building, DOH directly by calling (262) 605-6757. Not all facilities that offer free mammograms are completely free to everyone. Many diagnostic testing locations are free, some locations require that you meet income eligibility criteria. Call and ask before making an appointment or fully read the description information we provide.